We like to account for this contingency, because vessels are rarely “on-time”. In fact based on research from Drewry Shipping Consultants, on average only about 65% of the vessels are “On-Time”, so the transit times quoted by carriers should always be taken with a pinch of salt. In my post on avoiding logistical delays during the Chinese New Year I focused on the reasons for shipping delays from China during the Chinese New Year. However, shipping delays from China & elsewhere can occur at any time. There are various reasons for the delays and in this post I look at some of the common reasons for shipping delays from China. This will be a two part post. Some of these causes are avoidable and we look at what we can do to avoid or minimise the risk of these delays while others are simply unavoidable. For full containers (FCL), the container is normally loaded at the supplier’s premises & then sent back to the container yard at the port. Every time you book a slot on the vessel, the shipping line issues a “cut-off” date, which is the date by which the loaded container should be returned at the port. 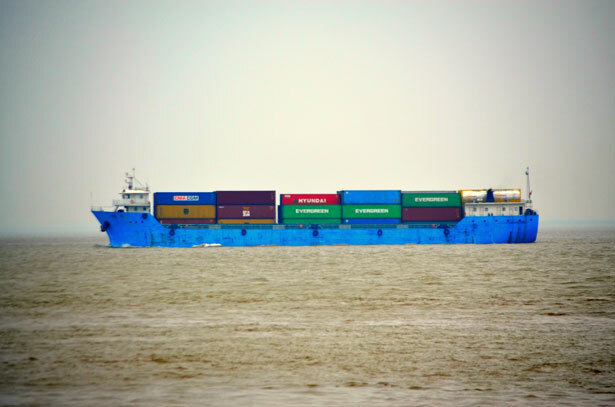 Often for various reasons the container is not returned on time, leading to the container missing the scheduled vessel. In case of an LCL shipment, the goods are sent to a groupage company’s warehouse (In simpler terms, a large forwarder), where they “group” several LCL shipments and consolidate them into a single container, which is then sent to the port as above. This is probably the most common reason for delays when it comes to sea shipping. Some of the reasons for not meeting the cut-off date are covered below, but this can happen due to a lot of other reasons too such as problems during domestic trucking, issues discovered during “loading inspection” that require negotiation with suppliers or re-working, etc. Advice: In most case, this can be avoided with proper planning. This should include, picking up container on time, planning well for domestic-logistics (when buying EXW), & being very specific on your deadlines with your suppliers if buying FOB. This from my experience is the second most common problem when it comes to causes for shipping delays in China. The customs paperwork is normally straight forward, however there can be delays both at port of loading & port of destination due to either incorrect or questionable paperwork. Many Chinese suppliers get export rebates from the government, which can range anywhere from 0% to 17%. These rebates sometimes, account for a larger proportion of the profit margin than the direct margin from the sale. Therefore, some manufacturers claim incorrect HS codes in order to maximise their rebate income which is a form of rebate fraud. On other occasions, unintentionally entering the wrong HS code also happens, either due to not being sure of the correct HS Code or due to a simple data-entry error. There are several other paperwork related issues that can cause delays in customs clearance of your China shipment, for e.g. not having the correct documentation for products with batteries. Advice: Ensure that you are working with factories that are used to “export” processes. In case you are working with factories not experienced in international trade, use a reliable forwarder who knows the processes well & ideally has experience in your given product. The experience becomes more relevant when working in developing countries like India or Brazil that have complex customs clearance processes. It is also a good practice to clarify the HS Code for your product with your factory. Customs at both “Port of Loading” & “Port of Destination”, select a proportion of the containers for inspection. Each customs has their own policy for selecting the containers to be checked, but this is normally based on a few factors like the risk profile of a given product or history of the exporter but can also be on random basis. It is difficult to know the exact criteria for this & it varies from country to country. This is normally referred to as a “Random Customs Inspection”. Unfortunately, when this happens you not only miss the “cut-off” date in most cases but also have to pay the customs charges for the privilege of having your container inspected. On top of that you often have to pay container rent charges & demurrage charges. 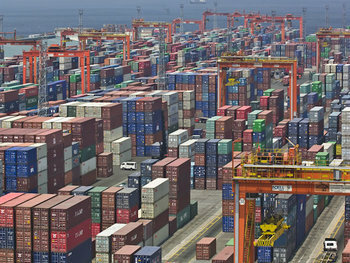 Normally the customs in the importing country is more concerned with what is coming in, than customs in the country of export, however the percentage of containers selected for inspection can vary significantly and depends on several factors like a country’s import & export policies, risk-management systems & priorities, etc. The intensity of random inspections also depends on “key events” in importing/exporting country that may require increased monitoring of cargo due to security risks. Customs inspections are also designed to prevent intellectual property issues, i.e. exporting or importing trademarked or patented products. Advice: There is not much you can do to prevent to this, however, if you follow the advice above and have solid paperwork and your products are fairly standard, there is a lower probability of this happening. This normally happens when there are more containers at the port than the port can handle either due to resource constraints or other factors. In China, this normally happens just before the Chinese New Year or around October, i.e. for anticipated Christmas sales. Advice: Chinese New Year tends to be the worst time for this and in the post on How to Avoid Logistical Delays to your shipment During the Chinese New Year I looked at how this can be avoided. Advice: Pray & hope for the best. 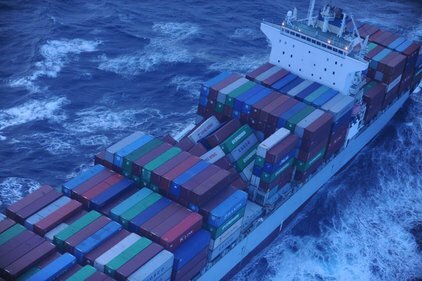 While some of the above issues can be avoided with proper planning and occur less frequently as you get experienced, the best practice is always to add at least a week more than the quoted transit time for sea shipments as contingency. In the next part of this post, we will look at 5 more reasons why vessel delays may occur. If you found value from this post, please spread the love by sharing this post. I would love to know if you have had any experiences due to vessel delays and how it they impacted your business. This entry was posted in China Sourcing, Logistics, New Importers and tagged China customs, china shipment delays, Logistics, logistics delay in China, shipping delays, Shipping Delays from China by Ashish Monga. Bookmark the permalink.